If you're American, you might recognize millet as the primary ingredient in birdseed. But in much of the rest of the world, millet is eaten (by people!) on a regular basis in a variety of forms. Though it's technically a seed (which means that it's naturally gluten-free), millet is usually classified as a whole grain, and you can use it in your kitchen just like you would any other whole grain, such as rice or quinoa. Millet is slowly creeping to the top of my list of favorite whole grains. 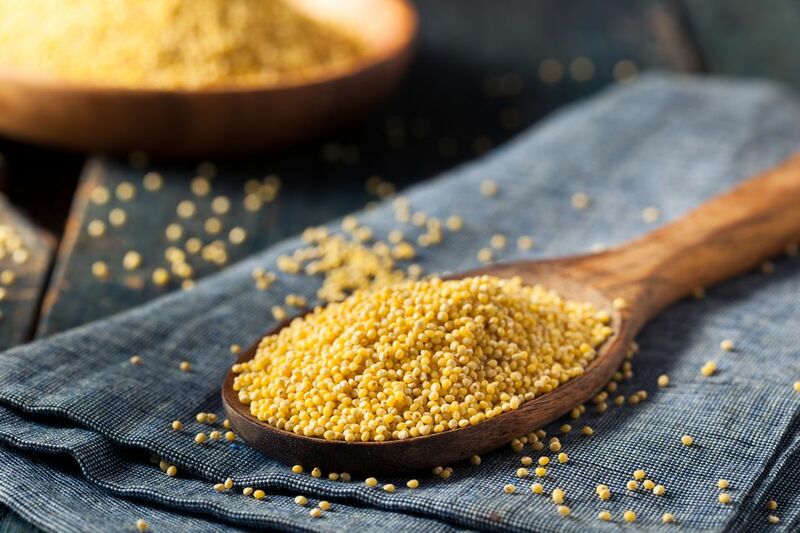 Sure, it's not as chewy as barley and it's not as high in protein as quinoa, but, with the rising popularity of quinoa, millet remains a low-key option at about 1/4th the price. Like quinoa and other whole grains, millet lends itself well to breakfast porridge dishes, instead of rice alongside vegetable stir-fries and savory pilafs. Millet is relatively high in protein, like other healthy whole grains, and, it is a good source of other vitamins and minerals, including folic acid, zinc, and iron. Unlike other whole grains which are more forgiving, millet needs to be timed well when cooking so that you don't end up with a squishy mess or a hard crunch - unless you want your millet to be more porridge-like, for breakfast or a creamy polenta for example. Keep a close eye on your millet as it simmers, starting at about fifteen minutes. For a softer and creamier millet, simmer for at least 20 minutes.